I can’t believe May is almost over. 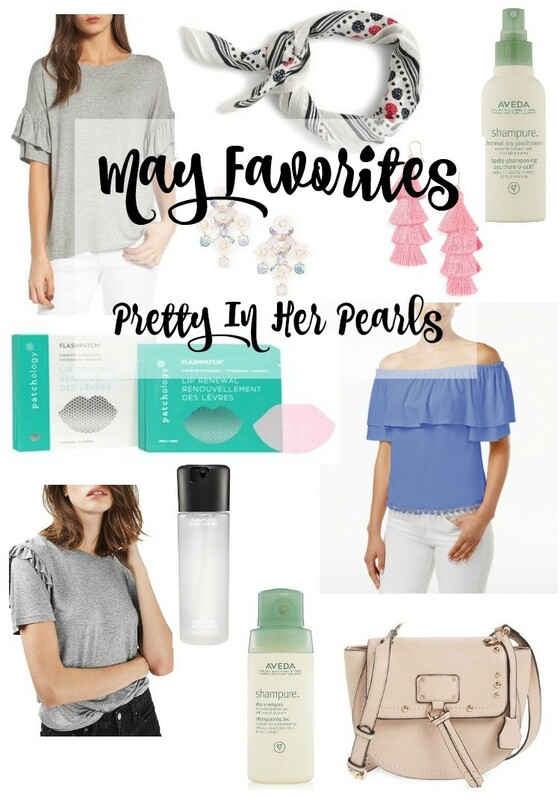 I’m really late to sharing my May favorites, but better late than never, right? 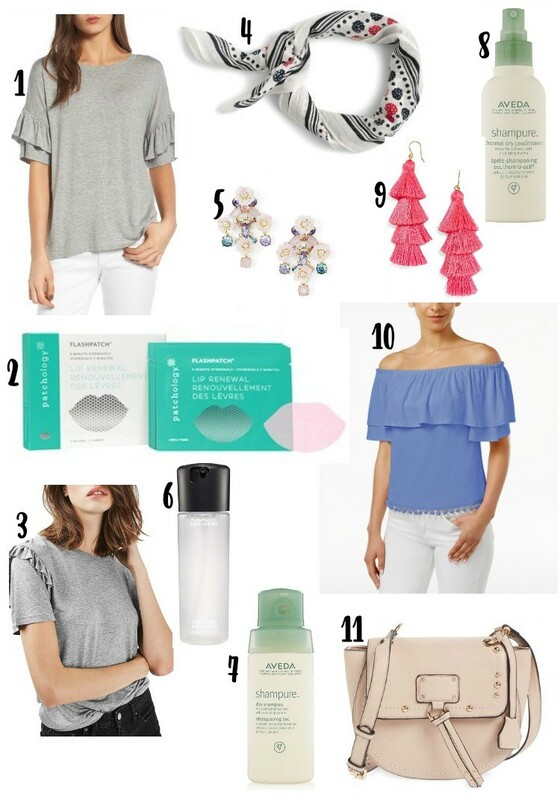 So, these are some of my May favorites that will get us all through the hot hot temps that are coming. I’m also sharing some cute short sleeved tees with ruffles. I am really loving this ruffle trend so much. Like if I could have all ruffles in my closet I would. One of these cute tees is $15, and so soft. Statement earrings have won my heart, and I’m really loving all the gorgeous over sized statement earrings. With mom life in full swing dry shampoo is my jam. Aveda sent me their Shampure Dry Shampoo, and so far I love it. I bought a few new ones so I can do another dry shampoo review. If there are any questions in ya’ll would like me to answer please let me know. I want the review to be helpful for ya’ll. Alright, it’s getting late. I hope ya’ll have a great day! !